There are many tutorials about embedding recent posts and comments in the blogspot platform, most of tutors give their script in the widget. This is actually something bloggers don't realize when embed a widget, their blog would become more slowly to access due the script. And sometimes the script doesn't work well. You can use feed feature in blogspot to embed automatic recent post and comment's widget. Its faster widget that you can try than using people scripts. The only thing that you do, follow my instruction below. 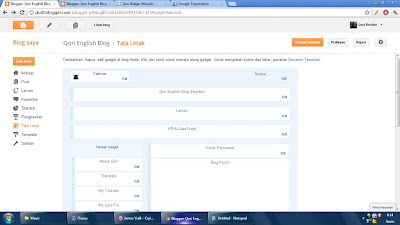 - Copy the url, and then go to layout section on Blogger Dashboard to add new widget. - Choose FEED widget by Blogger, insert your url there. - As you can see, there are some configurations, you can change widget title and then adjust how many post do you want to show. There is limitation for 10 post only. - If you done with configuration, click save and let's see the widget on your blog. [Article] Reasons Why Do People Listen Radio? [Thought] Reasons Why We Need Vacation?